Outdoor adventures to enjoy from the comfort of your own home. In the video game industry, theres a million different definitions behind the survival genre – ranging from notions of a zombie apocalypse to live in the darkest reaches of space. Despite the wide variety, each game does focus on the core of survival though, but too often they can be muddled down with strange gimmicks or difficult learning curves. Building off of the initial success of the DayZ mod a few years back, survival has taken off as a genre on both PC and console. With developers from around the world have tapping into the potential of the proven scavenge, loot, build, kill formula. Since then, many fantastic survival games have been released across the board focused on a variety of different mechanics that surprisingly don’t revolve around zombies. Here’s a look at some of the best wilderness survival games out there. Originally released on Steam back in 2014, The Long Dark is a survival game based in the Canadian wilderness. Created by the Canadian development studio Hinterland Games, The Long Dark puts you against the harsh environments of Canada as you fight to survive as long as possible. While playing you’ll have to manage your hunger and thirst by collecting supplies from around the open world while fighting to keep yourself from freezing to death by collecting and mending various clothing pieces scattered about the map. The Long Dark also features dangerous wildlife that you’ll have to avoid or protect yourself against by crafting weaponry. Currently the game is available on both Xbox One and PC with an ongoing campaign and regularly updated sandbox survival mode. 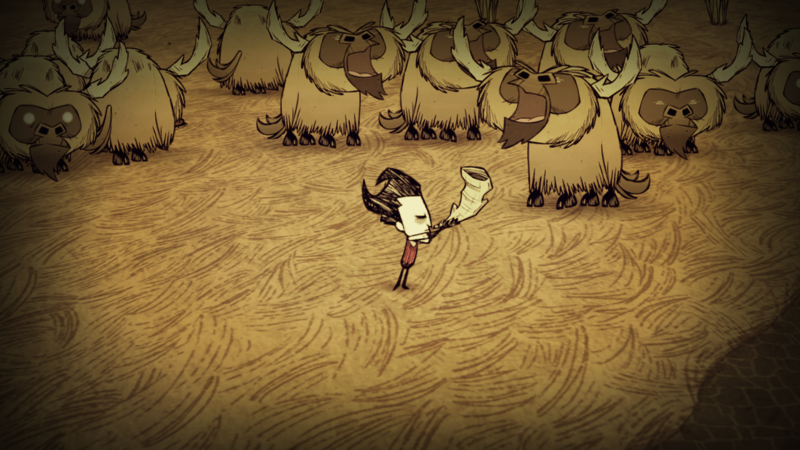 If you’ve ever wanted to play a survival game focused on a top-down perspective that feels akin to something Tim Burton would create, Don’t Starve is the game for you. First released on PC by the Canadian indie company Klei Entertainment, Don’t Starve follows a scientist named Wilson who wakes up in a twisted, dreary world and must work to survive as along as possible. Players will work individually or together with friends to keep their characters properly fed, physically healthy and mentally stable as they expand their base in order to secure more resources and fend off more dangerous creatures as time goes on. Don’t Starve is currently available on PS4, Xbox One and PC – with a ton of additional content, including multiplayer and new environments, available as well. Set nearly 100 years in the future when humanity begins to colonized other planets, Subnautica places you in the shoes of a lone survivor following the crash of his colonization vessel. During it’s descent, the Aurora was struck by an unknown energy pulse that severely damaged the hull of the ship – sending it crashing down onto the planet and sinking to the ocean floor. As the only survivor it’s your job to slowly begin terraforming the planet and establishing a base of operations under the ocean while avoiding the various dangers scattered around you. You’ll have to collect resources from under the ocean to develop more advanced equipment, build tools to keep your alive and construct your own bases and submarines. Subnautica is currently available during early access on PC via Steam, with the final version of the game coming to both PC and Xbox One this August. With an opening similar to the popular television show LOST, The Forest puts players on a forested island following a plane crash which resulted in their son being taken away by mutated cannibals. Throughout the game you’ll be working to find your son by crafting various weapons, tools and shelters in order to protect yourself against the islands inhabitants and wildlife. Unlike the other games on this list though, The Forest focuses on the mechanic of day and night heavily in order to put pressure on your as a player. Due to their nature of living in caverns, the mutated inhabitants of the island will only become extremely active at night forcing you to prepare during the day. Here’s the catch: they aren’t always hostile though, meaning that sometimes aggressive action isn’t the best strategy. While working on the game the development team at Endnight Games wanted to force players to question their own nature by utilizing this mechanic, which provides a really unique take on the survival genre as a whole. Currently the game is available in early access on PC via Steam, with a PS4 release planned for this year.